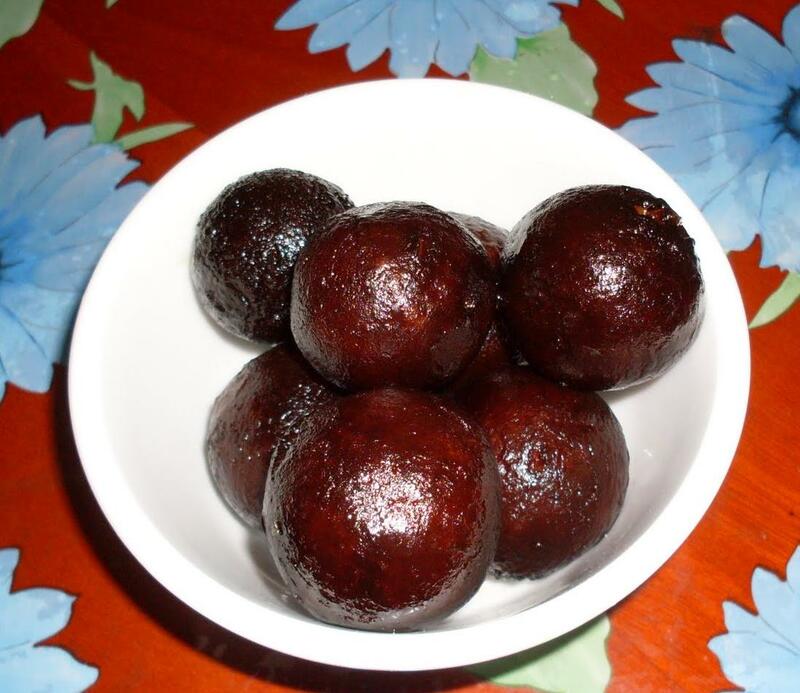 Kala Jamun are dark brown gulab jamuns made from paneer and khoya and then deep fried and coated with sugar syrup. Grate paneer and khoya . Sieve flour with soda bicarbonate. Mix these ingredients and knead well to make a soft dough. Make sugar syrup using 1 1/2 cups water and sugar. Keep aside. Divide the dough in equal portions and make round balls. Heat ghee in a kadai, spread castor sugar on a tray, roll the dough balls on the castor sugar and deep fry on medium heat. Temperature should not be very high or else the kala jams will remain uncooked from inside. Drain when evenly cooked and dark brown in colour and transfer to the sugar syrup. Let them soak for 15 minutes before serving. Do try this recipe and tell us how was it.